This album is a real treat! 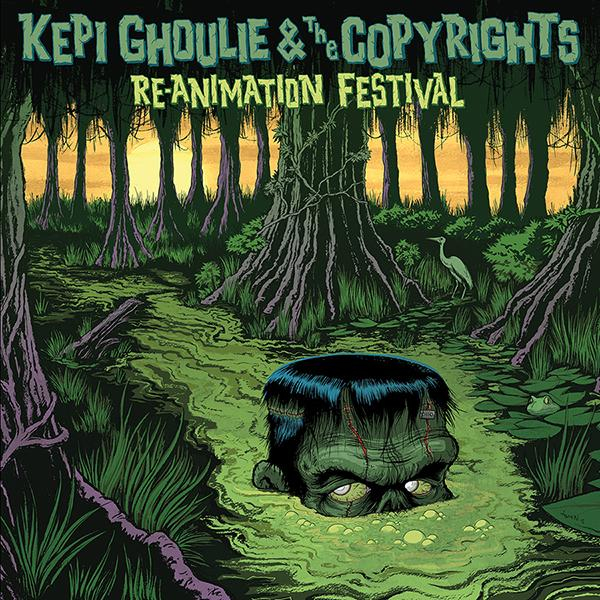 Kepi Ghoulie and The Copyrights have teamed up as "The Kepirights" to reimagine the high energy home run that is 'Re-Animation Festival', the classic album of the Groovie Ghoulies fan favorites as 'Graveyard Girlfriend' and 'Tunnel of Love'. This album is a real treat; Illinois? Copyrights put their trademark stamp on the songs, the inexhaustible Kepi Ghoulie takes care of the vocals and you?ll get some bonus backing vocals from everyone?s favorite Dog Party to boot! Plus stunning artwork by Tom Neely (Henry and Glenn Forever, Green Day)! Kepi Ghoulie - Lost And Lovin' It! Briefs, The - I Hate the World - col 7"